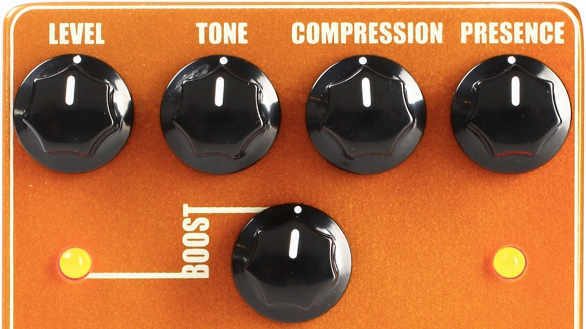 The compressor part of the Boost COMP has 4 knobs. COMPRESSION is a one-knob control that adds more compression as you turn it. In order to counter-adjust for loss of volume, there is a dedicated LEVEL knob to make up for lost gain. The 2 last knobs are for tailoring your tone a bit. 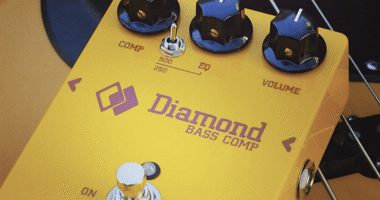 Often compression tends to darken the tone a little, and it has become more and more common to add a simple high-end tone control to add some treble to the compressed signal. The Boost COMP features 2 knobs for this exact purpose: PRESENCE is a dedicated high-frequency control that adds sheen and spark in the 2-3 kHz frequency band, while and the TONE will add – or roll off – some of the upper-mids. The TONE control is neutral at the noon position and depending on whether you turn clockwise or counter clockwise, it will boost or cut. While it may sound like they would risk cancelling each other out, this is definitely not the case. They operate in separate EQ bands, and there appears to be little to no overlap. 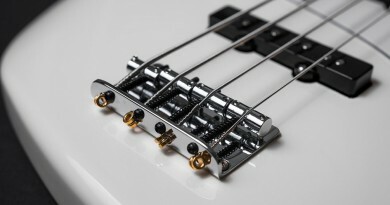 However, both can add clarity in different ways and together they form a quite versatile tone control tool. An important note about the tone controls is that the PRESENCE knob is affecting the pre-compression signal (before the compression is applied), while the TONE control deals with the post-compression signal (after compression). Finally, you also get a BOOST knob that is controlling a completely separate boost circuit that even has its own footswitch. 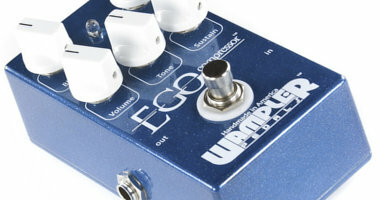 This means that you can use the pedal as a clean boost as well as in combination with the compressor circuit. Each circuit also has its own LED to indicate whether or not it is punched in. The sound clips in this review are split into 5 rounds. The first cover what has become a ‘classic bass-pedals.com’ compressor test. A groove played ‘muted’, but with occasional slaps/pops that stick out significantly in a dynamics context. The second round is also almost obligatory for compressor tests. Slap smack tone. Slapping is a distinct playing style that can often benefit from a rather heavy compression treatment. The last 3 rounds cover fingerstyle, picking and the Jazz bass bridge pickup in isolation. The approach is methodic, simply starting each round with a DRY sample followed by 5 audio clips at 10%, 25%, 50%, 75% and 100% settings. The reason for this structure is that there is a lot happening in the first 0-25%, so I felt it would make sense to bring in a 10% example as well. 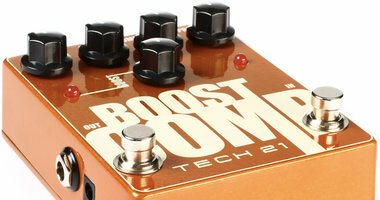 The Boost COMP is capable of delivering some great tones for several situations. I particularly like the slap-smack tone it can create, but also found that it is great for smoothening out a picking line that is somewhat uneven from the beginning, and the same goes for fingerstyle playing. For handling extreme dynamics (sound clips round 1), I missed some dedicated attack and release controls to tame the peaks more accurately. The BOOST circuit has hardly been mentioned so far, but it is there and delivers up to 21 dB of clean boost. 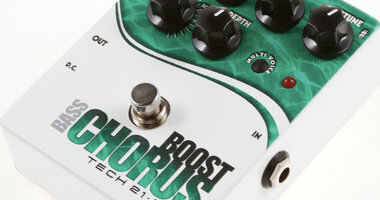 With the dedicated footswitch for this circuit, versatility definitely goes up a notch. I have used this pedal a couple of times prior to this review in a live setting and while it does deliver that great slap-smack I love, I sometimes underestimate how much of the overall signal that can get lost in compression and even if I set the LEVEL at what I think is unity gain, I can get surprised when the tone gets ducked. In that case, it is very valuable to have the additional clean post-compression circuit that will simply increase the full signal after compression. I usually set the BOOST knob at around 25% boost, which gives a nice bump in overall volume for additional cutting-through power. 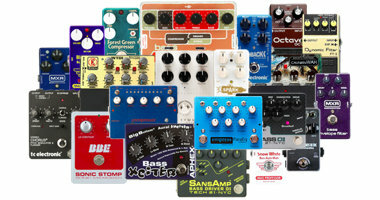 I have had Tech 21 pedals on the board for more than 15 years and never had any issues with any of them. Quality seems to be the usually high standard I have come to expect from Tech 21 and until proven otherwise, I am going to claim that the quality of this pedal is just as high as is the case with my trusty SansAmp pedal. Visually, I really dig the design, but of course tone is all that matters. I also like the fairly chunky knobs with clear white stripes that are easy to see on a semi-dark stage or rehearsal space. The one design issue I want to touch upon is the lack of a blend feature. The option of blending in some of the dry tone is not only sounding great, it could also help creating a better result for general smoothening in Round 1 of the sound clips. Obviously, you could use an external blend pedal such as the Boss LS-2 or the Xotic X-Blender, but there are quite a few compressor pedals out there with this feature already built in, so it would have been a great feature on this one as well. Today (2015), the Boost COMP compressor retails at $149. That is a pretty good price for a pedal of this caliber. You can get cheaper alternatives of course, but the balance between sound, versatility, quality and price is certainly good. I like it for what it is, and I love it for slapping. The independent boost circuit is a simple, but very useful idea that have saved me from the awkward turning around mid-song to turn the master volume more than once. 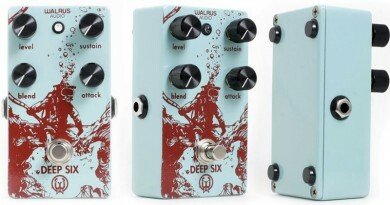 Overall, it is a great pedal at a great price point.